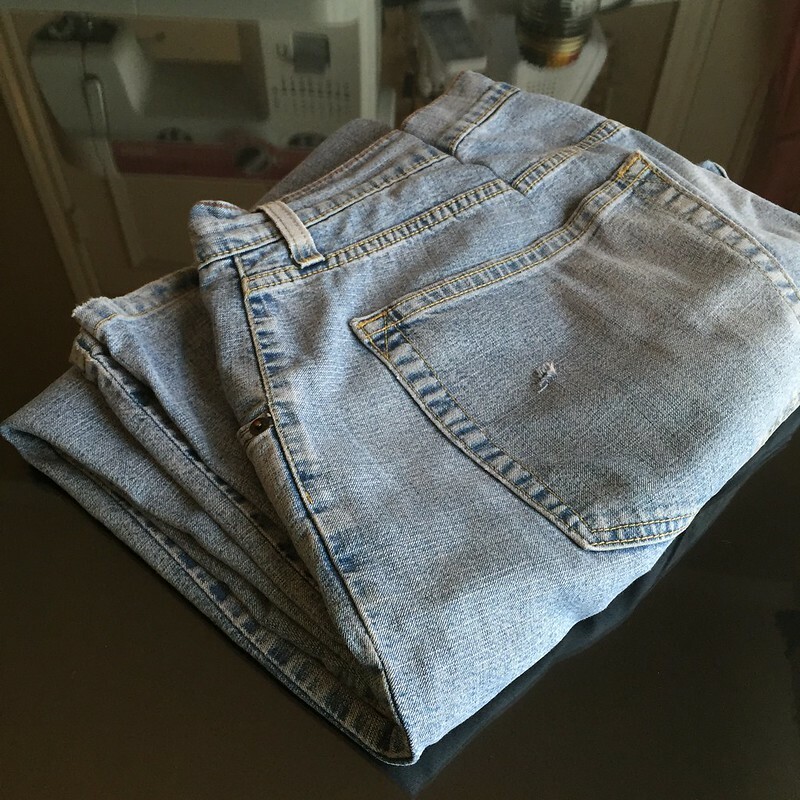 When I began to disassemble these old jeans for Portia's "jeanius" challenge and I removed the back pockets, I knew immediately I had to incorporate the unfaded, ombre denim from underneath them into my final garment. 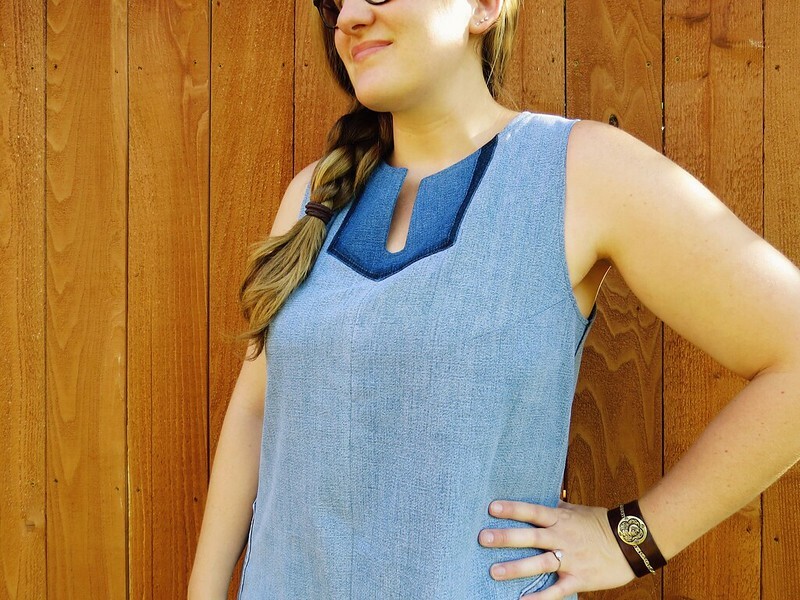 I decided to make a simple tunic featuring the ombre block as the bib. 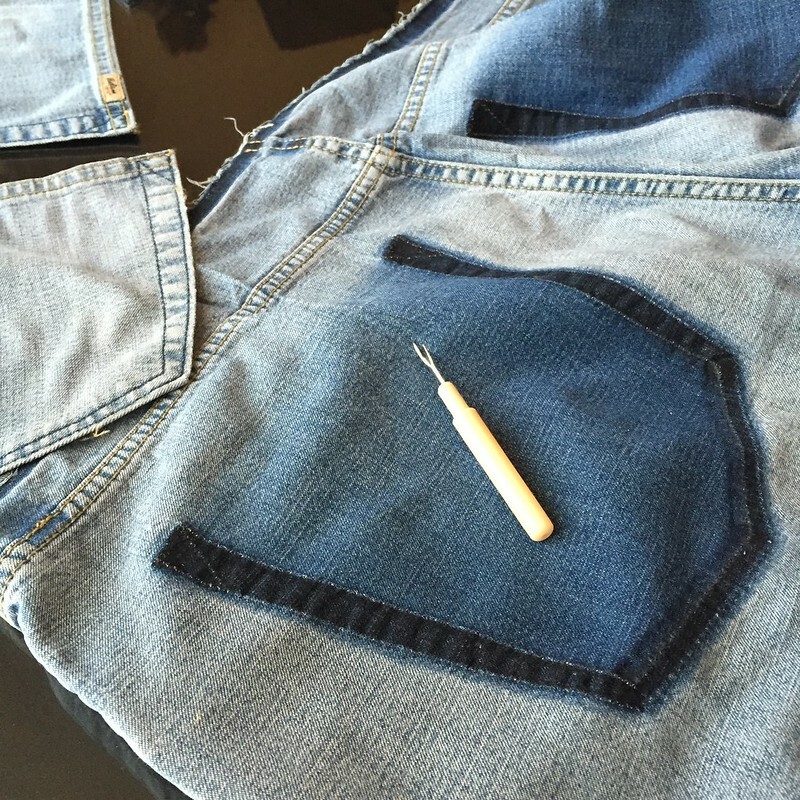 Then I also reused the original pockets as the facings on the side slits. You can find more details at CarissaKnits! 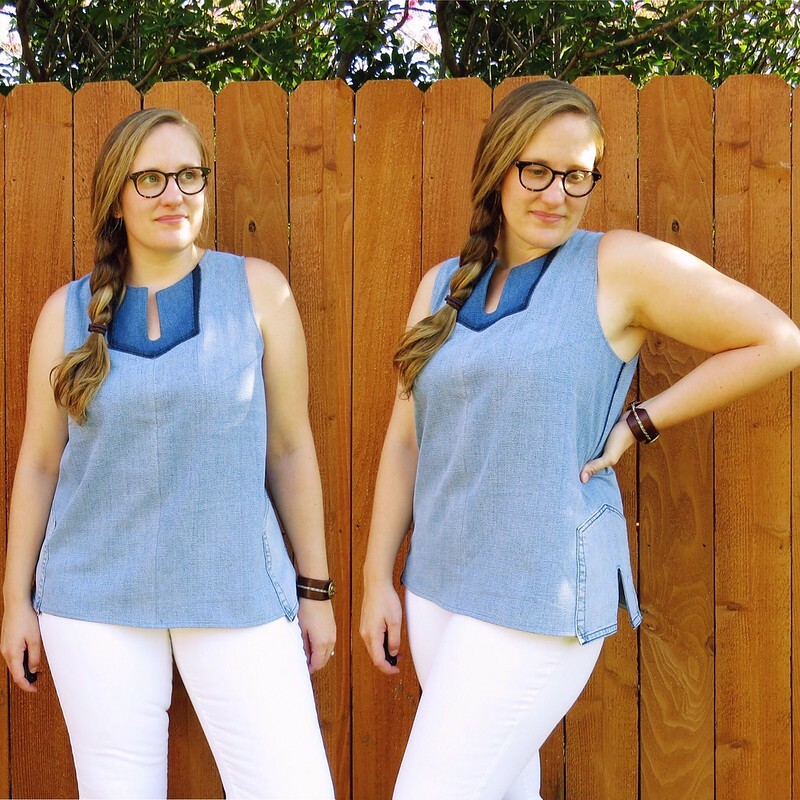 This tunic is simple but so effective, the pocket treatment is inspired. Brilliant! excellent design ideas! Sparks a lot of ideas from there. I love this. 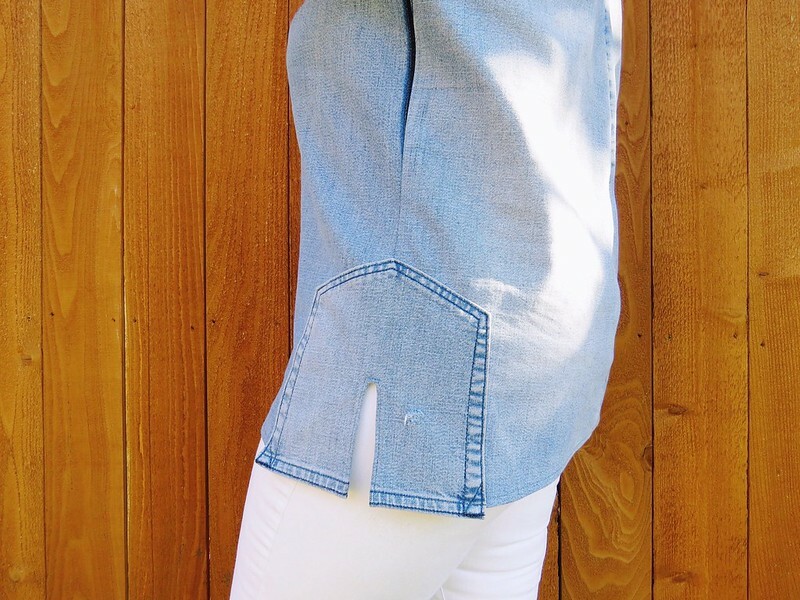 The placement of the pocket and the old pocket is genius! That is a super cute look!